Story: One of the most popular knives in the icebox, the Cleaver is a multipurpose goggle blade. Used primarily to hack through meat, bone and all conditions, this large sized hatchet features a flexible thermo-polyurethane frame with triple density face foam for comfort, moisture wicking and slash-ability. A dual layered anti-fog cylindrical lens cuts through efficiently and provides a wide field of vision that slices with sheer momentum. 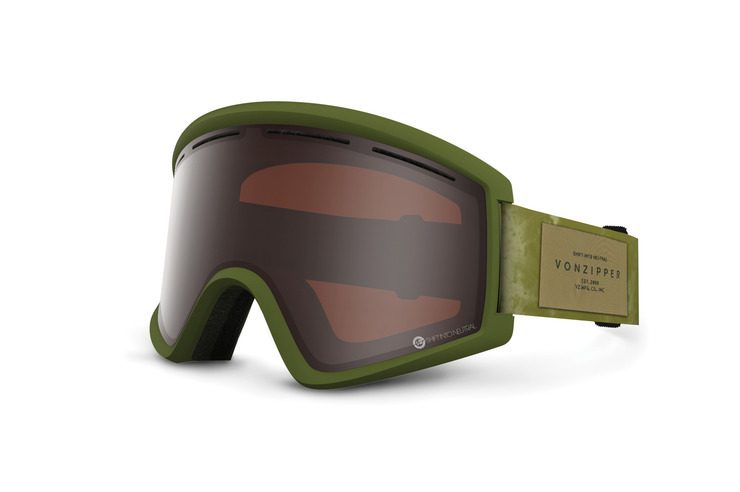 Useful on vegetable too, the forward venting in the frame makes this goggle your on snow food prep utensil of choice. Specs: Ergonomic frame design. Thermo-polyurethane injected molded frame. 100% UV protection. Dual cylindrical lens. Extended peripheral vision. Anti-fog and hard coated lens. Polar fleece lined, triple density face foam. Dual adjustable strap. Helmet compatible. Dual sleeve microfiber bag.